Details on all of the following can be found in the 1887 yearbook. Delta Phi was the first fraternity to design and construct its own purpose-built house in West Philadelphia, at 3453 Woodland Avenue – directly opposite College Hall. However, construction did not take place until 1898. It is not known where this group met during the 1880s, but a number of young men in the Class of 1887 listed membership in this fraternity. Robert James Pilgram, in his General Register of the Members of the Phi Kappa Sigma Fraternity, 1850 – 1930, stated that the Alpha chapter rented rooms at 13th and Walnut Streets until 1896, when it purchased a small house at 3537 Locust Street. Professors Brownlee and Thomas, in Building America’s First University, have noted that in 1888, Delta Psi was the first fraternity at Penn “to have its own purpose-built house, a Wilson Eyre, Jr.-designed palazzo on 22nd Street across the Schuylkill”- not on the University campus. When the new meeting house was opened in January 1889, it was known as St. Anthony Hall. Certainly the Class of 1887 would have played a major role in fund raising for this undertaking. The alumni members included two well known faculty members: Otis H. Kendall, professor of mathematics and Edgar Fahs Smith, professor of chemistry. Maxwell’s Greek Letter Men noted that at the close of the 19th century the Iota chapter occupied rented space at 3617 Locust Street. Began with fourteen members in 1880. After what appears to be just a brief life of eight years, the Phi chapter disappeared from The Record. The Phi chapter re-appears in the Record of 1895, composed of two alumni members and twenty-three students. Penn’s Tau chapter was established on April 5, 1881 and first appeared in the Record of that year. 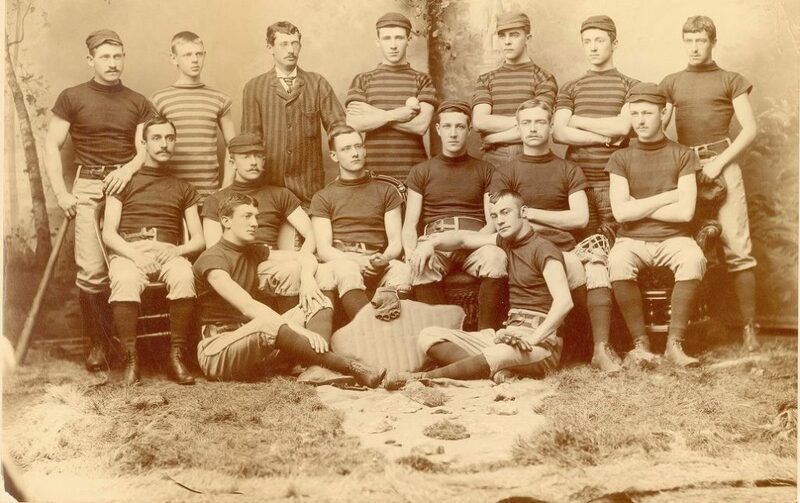 Alpha Tau Omega did not appear, however, in four editions of the College yearbook, those of 1887 through 1890, and may have disbanded in those years, not to reappear until 1891. 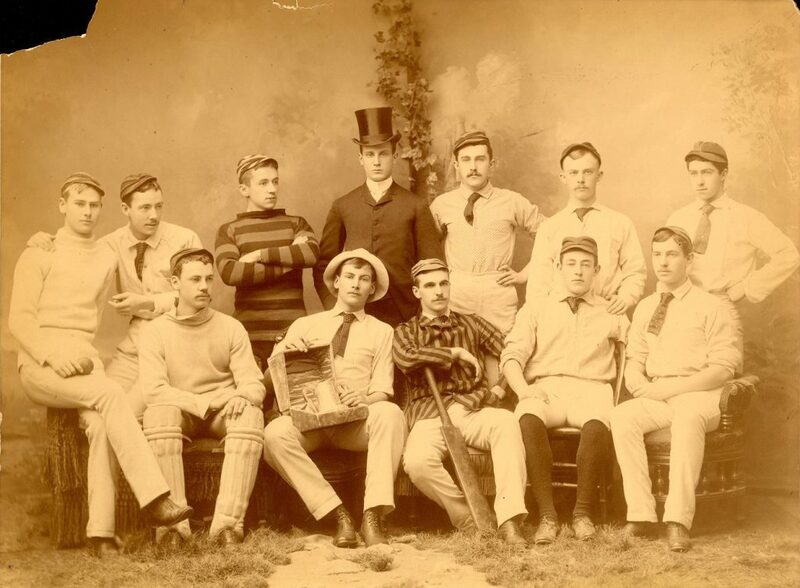 Several members of the Class of 1887, however, were at one time members of this fraternity. Class Day began with the Class of 1865, but the Class of 1887 began the tradition of associating Class Day with commencement in a program held in the Chestnut Street opera house on June 6th, 1887. The 1887 yearbook includes the 1887 program, with the full texts of the presentations and a description of the class suppers that followed.